The Redemption name was chosen to reflect the idea of Rye re-claiming its status – prior to prohibition, it was the #1 selling type of whiskey. The Redemption portfolio of whiskeys all have a high rye content in its recipe which gives it a distinct flavorful spicy taste. The whiskey is all sourced in Lawrenceburg Indiana from the old Seagram’s distillery, founded in 1847. The whiskey is batched and barreled in Bardstown Kentucky at Bardstown Barrel Selections. The distinctiveness of Redemption comes from the attention to detail during the ageing and batching process which is all done to taste, insuring consistency bottle to bottle. The combination of high rye content and proof allows the whiskey to gain significant flavor in new charred oak barrels with less ageing. 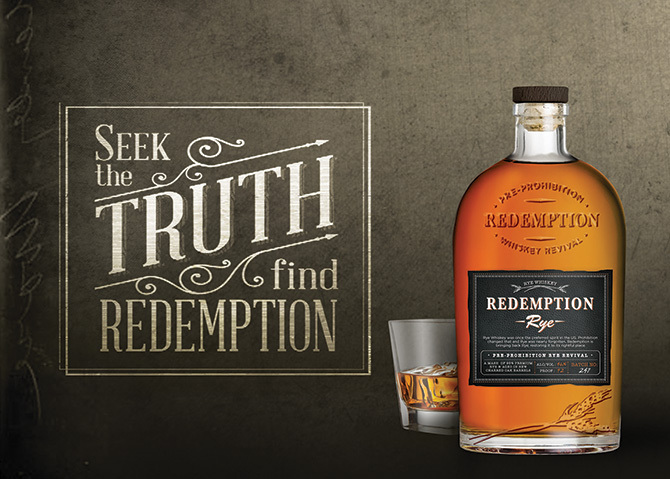 Each bottle of Redemption whiskey is hand numbered to reflect the batch and bottle, a sign of the attention to detail put into making the final product.